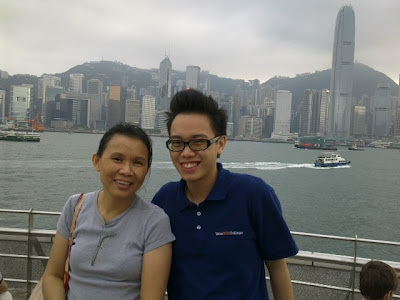 Familylane: Mom's Never Ending Birthday Celebration!!!!! 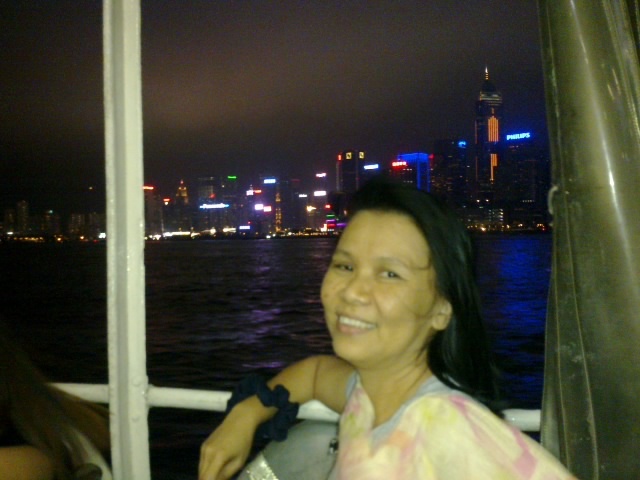 Starting from Singapore, then to Hongkong and finally Hainan island! Mom's Never Ending Birthday Celebration!!!!! 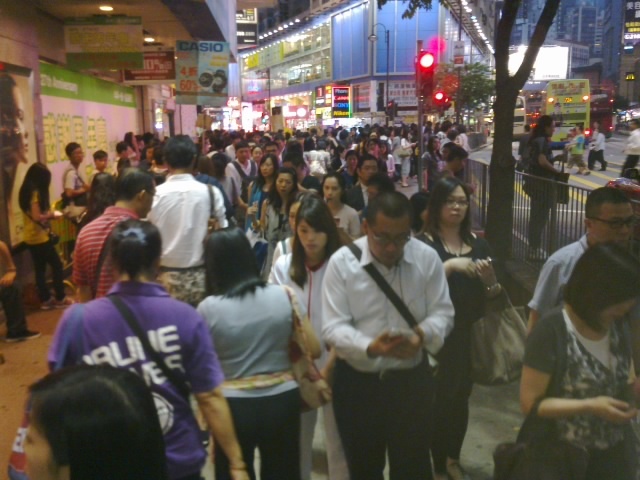 Starting from Singapore, then to Hongkong and finally Hainan island! 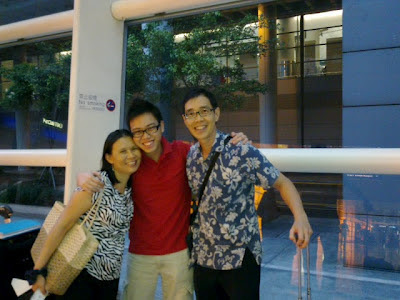 The family gathers in Singapore to celebrate Mom reaching the 50th Milestone in her life. 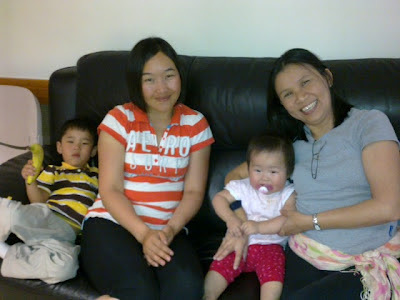 Su was the early surprise gift when she showed up very early in the morning after flying in all the way from Utah USA! Seen below is the family enjoying a buffet dinner in a Thai-Indonesian cuisine restaurant. Mom obviously didn't stop at two! Happy Birthday Mom, We Love You!!!!! The Celebration is not over yet! 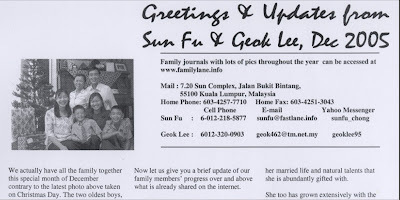 Geok Lee : Thanks everyone for your well wishes! I had a wonderful birthday and the celebration is still not over yet! Cheers!!!! I love this song below and the meet the Mormons movie which can be viewed here. Mom was entertained by the performance of her niece Ying Er on the violin and Han her son on the piano. We even have the famous judges to give their votes and opinions. Simon, JLo and ...? Other performers did well too and here is the funniest act! ..and Dad was busy performing in the kitchen earlier too! ... and the celebration was still going on Saturday night, being invited for dinner at a Nonya restaurant by Uncle Yen Wei and Auntie Chai Yen. 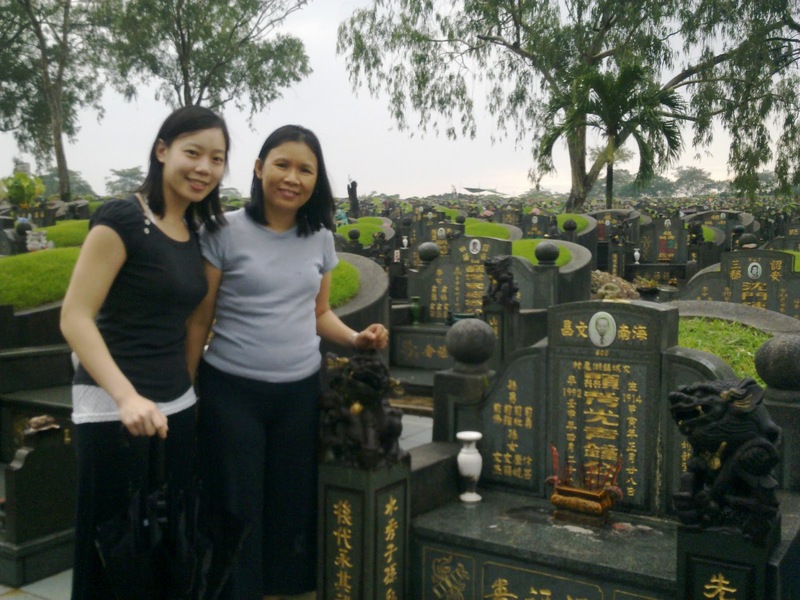 Mom believes that the celebration of life should not exclude the dead so a visit to her deceased father's grave was in the agenda. 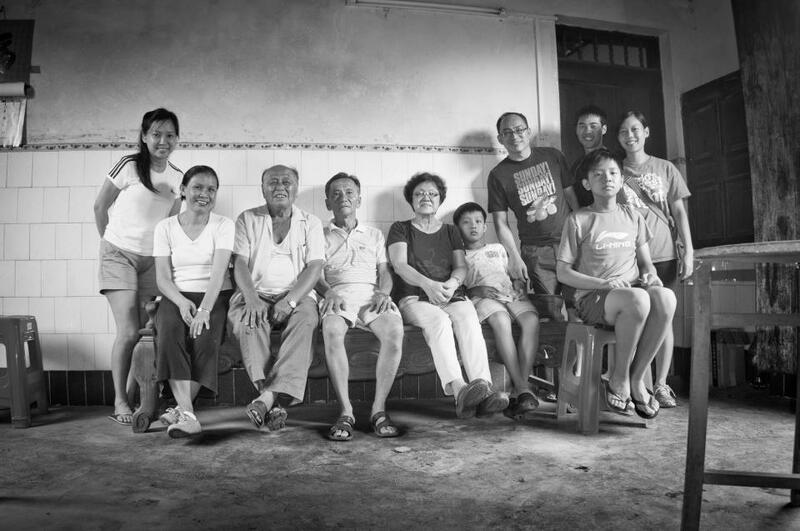 After all, we do believe that Families are Forever! Hmmmm...... looks like her birthday is turning out to be like our Never Ending Christmas Story! Mom enjoyed a family dinner at home prepared by the boys and Dad. On the very next morning, a nice surprise for Mom was to see her son on the prime news section of The Straits Times, the same leading newspaper that published the news that Archuleta's a missionary as seen above. It was about Yale-NUS, the new college starting in Singapore. His interview by the press is covered in the extract below. The last paragraph at the bottom of the extract reads, "The Malaysian citizen has been a relief teacher here since graduating in 2010. 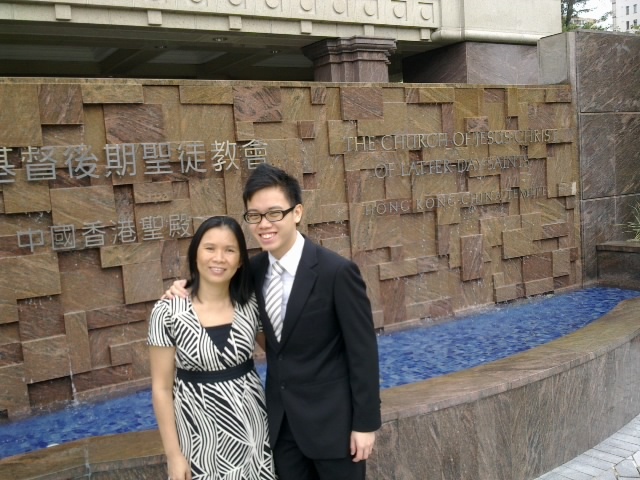 Next month, he will set off for Britain on a two-year church mission, and matriculate in 2014." You can read the complete extract below by clicking on it to view an enlarged version. 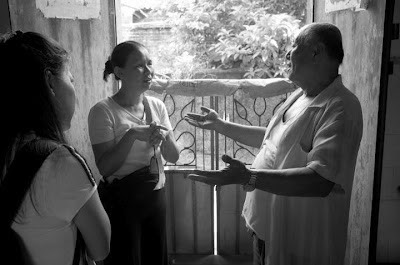 The news can be read online too here but one needs to be a subscriber to read the complete news. In the afternoon, we rushed to the airport to meet Mom's brother's family who just arrived from US, Norway and Japan with relatives from Hong Kong and Australia too, having a family reunion in Singapore. This is Geok Lee's 3rd brother, Roy Thong, who first joined the Church in her family and also served as a missionary in the early 70s. 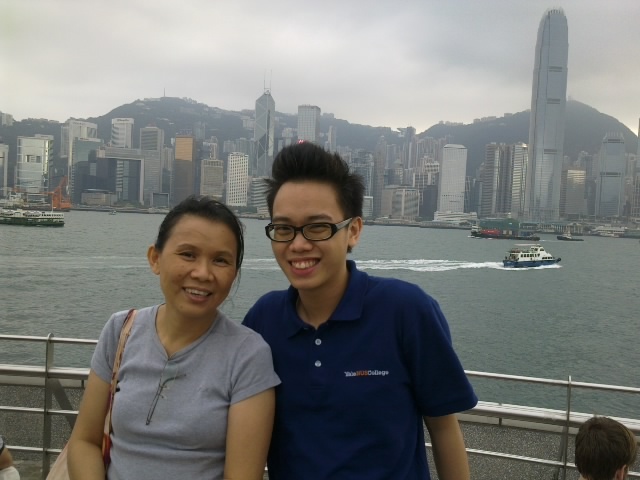 Truly since Mom's birthday, there has just been non-stop reasons to celebrate one event after another! Off to Hong Kong with our boy wonder! Why our boy wonder? Guess his family profile is self explanatory. Arriving safely together at the Hong Kong International airport! 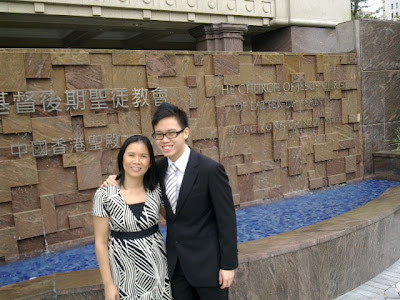 What greater joy can there be than for a mother to witness his son receive blessings from the Temple of the Lord in preparation for his mission? 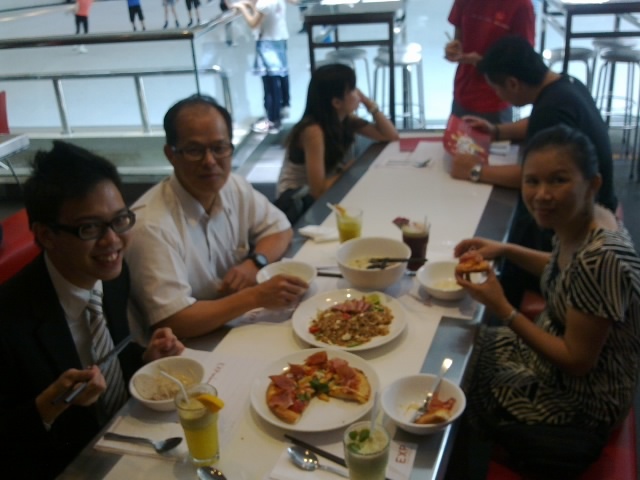 Enjoying Hong Kong's fusion food with a lunch and cinema treat from Dad's former missionary companion Wu Yuk Choi. 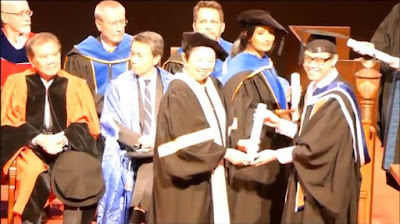 Han's graduation: Click here or the above photo screenshot to watch the short video clip with his voice singing the lead background quartet song. Mom conversing with her Dad's nephew that Mom's oldest brother in Singapore had met in previous years during his visit to Hainan island. Mom's oldest brother was responsible to have provided mom from his earlier visits with a genealogy of their father that goes back many generations of time possibly through this relation. Family photo of Mom's oldest brother's family members with Mom's father's nephew(bald) in the center with his wife on his right. 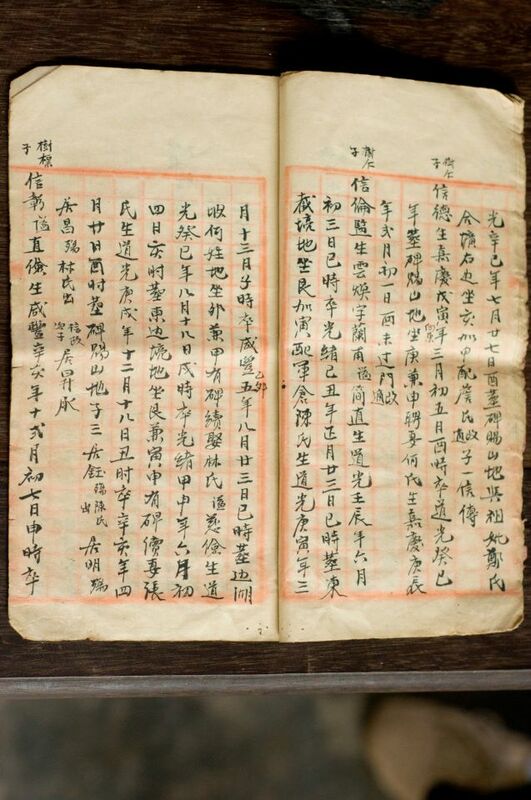 This is the original copy of Mom's mother's father's ancestry obtained from the relation above. 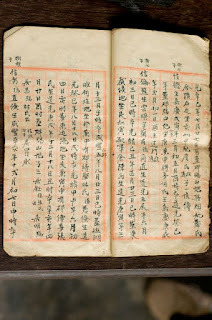 Interesting to note that this copy was obtained several years earlier by Fei who went to Hainan island with Christopher. 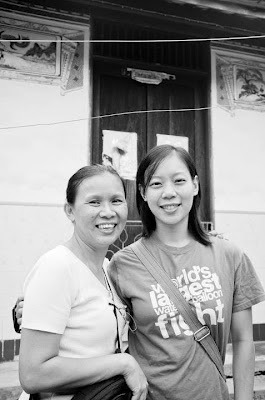 Mom had given Fei a photograph of this relation taken from letters of her mom which had his address too. 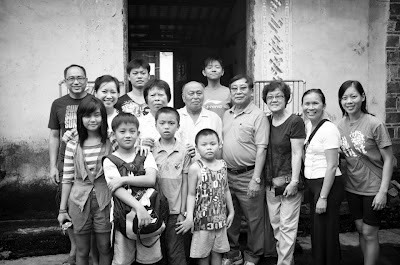 Group photo is taken with the relations of Mom's Father and Mother, the two men together.